After a brief introduction to the Snapdragon 821 back in July that lacked specific details about its advantages over the Snapdragon 820, Qualcomm today revealed it all just as IFA was kicking off in Berlin. They didn’t announce new phones or future partners alongside the news (outside of the previously announced ZenFone 3), but I think we all know that new devices powered by the 821 are coming, namely those made by Google. 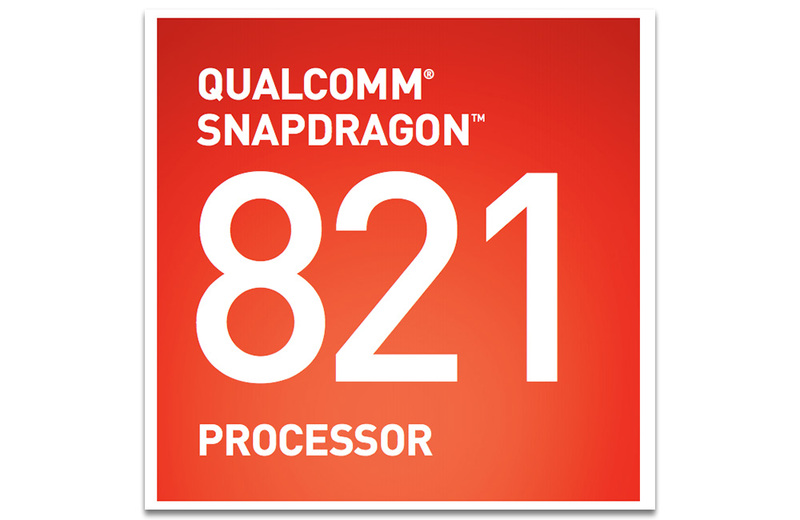 Qualcomm did mention that they expect the 821 to be the processor of choice for new phones released during the holiday season. According to today’s series of press releases, the Snapdragon 821 (MSM8996Pro) is 10% faster in boot times than the 820, can reduce app load times by 10%, improves general performance by up to 10%, and provides smoother UI experiences and browsing performance. The 530 GPU in the 821 even received a 5% increase over the 820, while battery life should be up to 5% better. As for what’s new, the Snapdragon 821 is ready for developers to create awesome VR experiences through the Snapdragon VR SDK, shows significant speed improvements in camera phase detection autofocus, and extends the visible focusing range for laser auto focus. 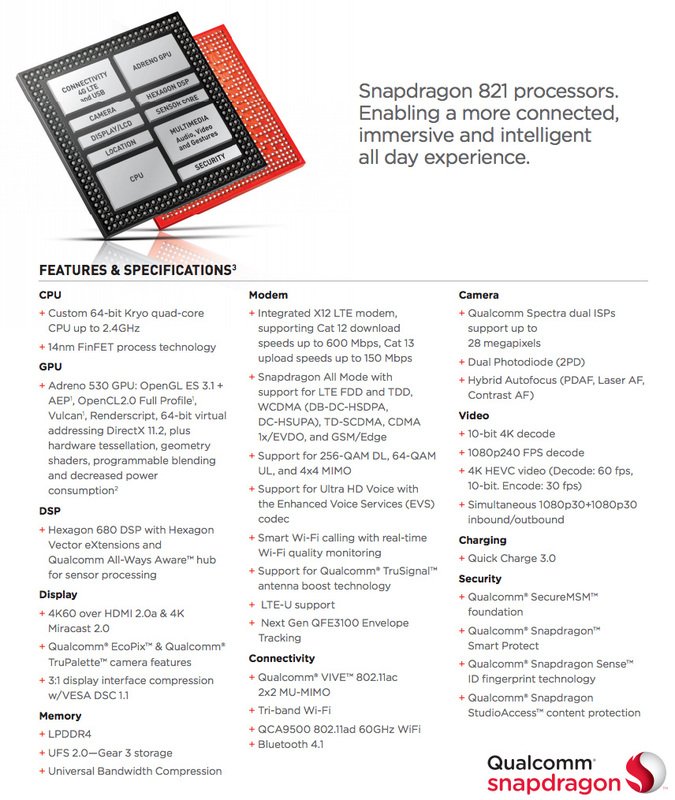 The full Snapdragon 821 specs can be found below.